This spoof has two initial scientific statements. (1) Einstein wrote e=mc2. The law of mass–energy equivalence states that anything having mass has an equivalent amount of energy and vice versa. (2) The first law of thermodynamics, also known as Law of Conservation of Energy, states that energy can neither be created nor destroyed; energy can only be transferred or changed from one form to another. QUESTION: If energy cannot be created nor destroyed, what is renewable energy, and how can we achieve 100% renewable energy? FACTS: Renewable energy is a politically defined term, a political football. Governments across the US have a 1000 different definitions. Hawaii has several very different definitions of renewable energy since 2000. At one point just a few years ago, Hawai`i considered that energy demand displaced by energy efficiency devices was renewable energy. Destroying third world rainforests to grow genetically engineered bioenergy crops for HECO, MECO & HELCO generators is considered by Hawai`i to be renewable energy. Ethanol is also defined to be renewable energy. There is also the difference between law and practice. 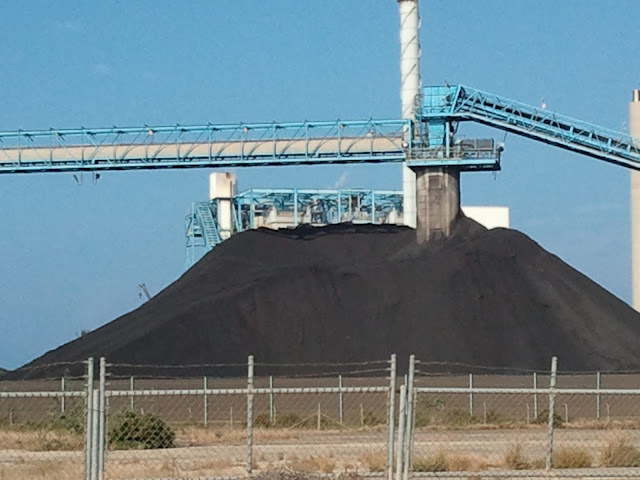 Coal isn`t defined as renewable energy, but it is counted as renewable if it is burned at Honolulu`s H-Power garbage-to-energy plant. SPOOF SOLUTION 1: The simple, cost-effective way, of achieving 100% renewable energy in year X, is to pass a law redefining renewable energy to include all forms of energy in year X.
SPOOF SOLUTION 2: Convert all energy demand to gas provided by the Gas Company, and/or diesel burned in on-site generators. Both are exempt from all renewable energy requirements. Hawai`i non-profit environmental and community action group public interest. Our mission is to preserve and protect the life of the land through sound energy and land use policies and to promote open government through research, education, advocacy and, when necessary, litigation.